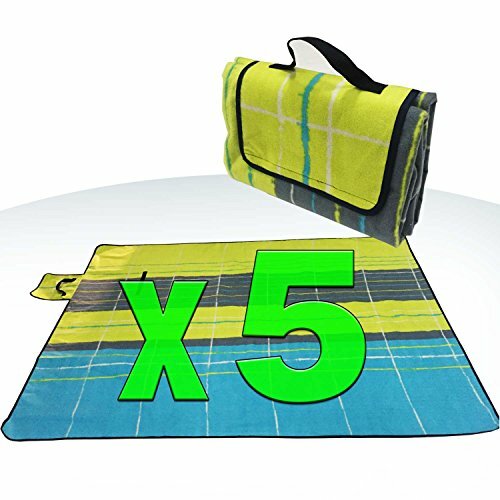 When you want to take your family, date on the road, bring the ultimate Spencer & Webb Mega mat along with you. This way, you won't be leaving anything to chance. Its 100% water-proof backing will keep your pants and gear dry as you sit back and enjoy a game, out-door lunch, or out-door concert. No matter how much it might have rained the day before, you'd never know the difference. Also this Mega mat stays cool to the touch even on a hot sunny day. Once you're ready to go home, simply dust the mat off, fold it up, and carry it back with easy to carry strap. ✔ No more 'wet bottom' outings! If you have any questions about this product by Spencer&Webb, contact us by completing and submitting the form below. If you are looking for a specif part number, please include it with your message.